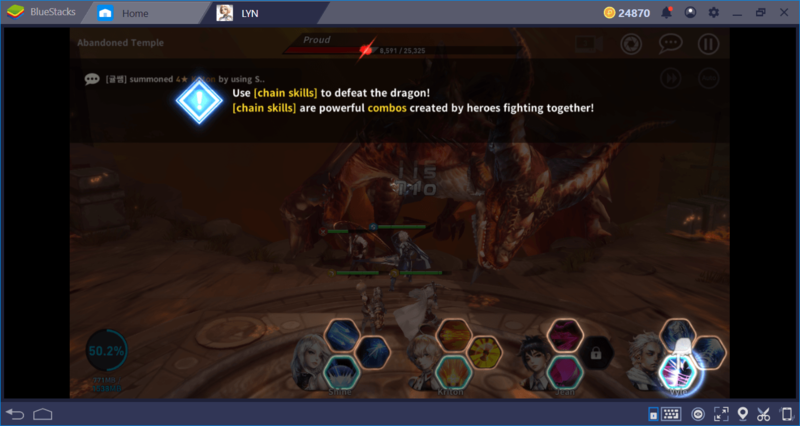 If you are looking for a light RPG with gacha mechanics and impressive visuals, Nexon’s LYN: The Lightbringer may be the best option for you. And if you have played a gacha game before, you are ready to play this one too: All of the features will be quite similar. We already reviewed the game and suggested it to BlueStacks’ fans. But before playing the game, we need to install and configure it to get the best experience. Below, you can find information about all of these and get some tips about the exclusive features of BlueStacks. As always, all you need to do is downloading the game, BlueStacks will handle the installation part. 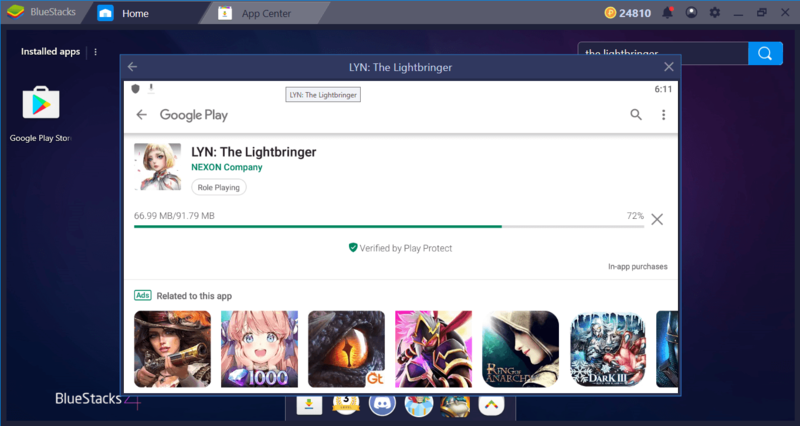 Start by searching for “LYN: The Lightbringer” in BlueStacks App Center and once the results are listed, just click on the “install” button. The game will download a 91 MB file and you will be notified once it becomes ready to play. After launching the game for the first time, it will download an additional 1.8 GB of data. 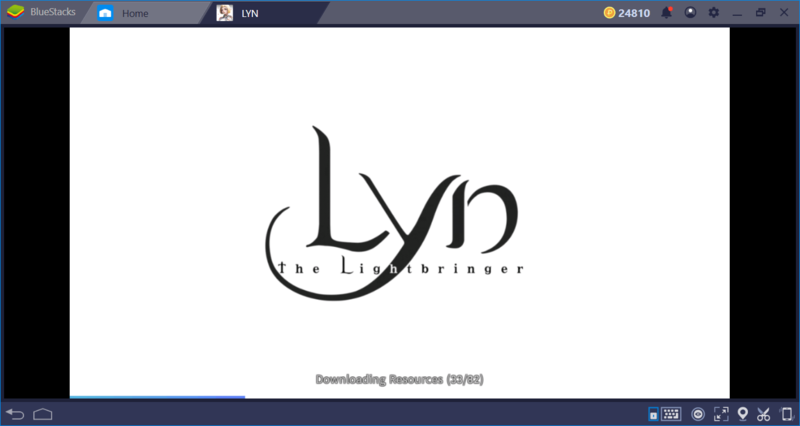 While waiting for the download to complete, you can learn more about the story of LYN: The Lightbringer – the tutorial missions will start after downloading 350 MB of data. Now, we are ready to play. But in order to get the best experience, let’s take a look at the controls and configure them to our liking. Like all other gacha games, you don’t need to use your keyboard to play LYN: The Lightbringer. You can activate every feature in the game with your mouse buttons. That’s why BlueStacks does not include keyboard keys in its default control scheme: They are not needed. 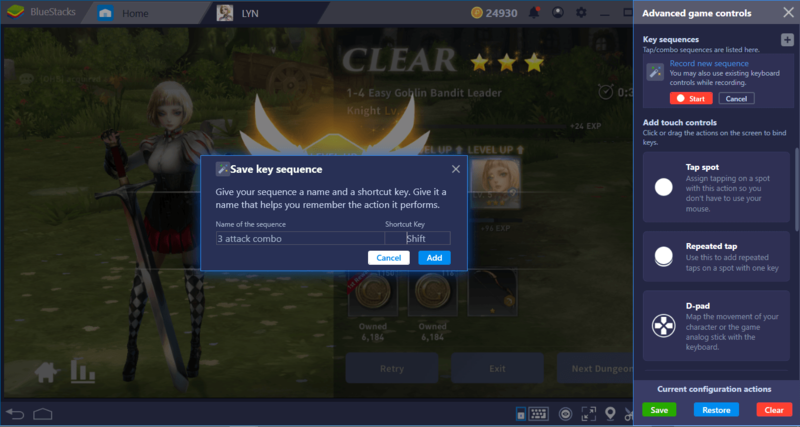 However, after creating a full party, using the keyboard to activate the skills of your heroes may be a good idea – assigning a different key to every ability slot will increase your response time. And since combat in LYN: The Lightbringer happens in real-time, you really need to be fast. Thanks to our Advanced Keymap Tool, this is very easy to do: Open to tool’s menu by clicking the tiny keyboard icon at the bottom and drag & drop tap spots onto the ability slots. Create a tap spot on top of every ability slot and assign a key. After saving this new control scheme, you can start pressing the assigned buttons to activate skills – no mouse clicks will be needed. The skills of your heroes can be chained to each other and become more effective: Even the game suggests doing this right from the beginning. In other words, the game’s combat system is built on creating combos. Now, there are two ways to do that: You can try to memorize dozens of combos and the order of key presses to activate them, or you can simply use our Combo Key tool. Using this tool will allow you to record action chains and repeat them with a single keystroke in the future. And using it is pretty easy, you don’t need any “technical” knowledge. Open the Advanced Keymap Tool menu again and start a recording by clicking on the “record new sequence” button. Start the recording before using a combo/chain attack. You can add as many actions as you want into the combo – we suggest including at least three ultimate attacks. Assign a key and you are done. In the future, press on that assigned key to repeat all the actions in this chain, no need to memorize anything. And now, we are ready to face the dangers of this world: Read our LYN: The Lightbringer review to learn more about the game and start your adventure. 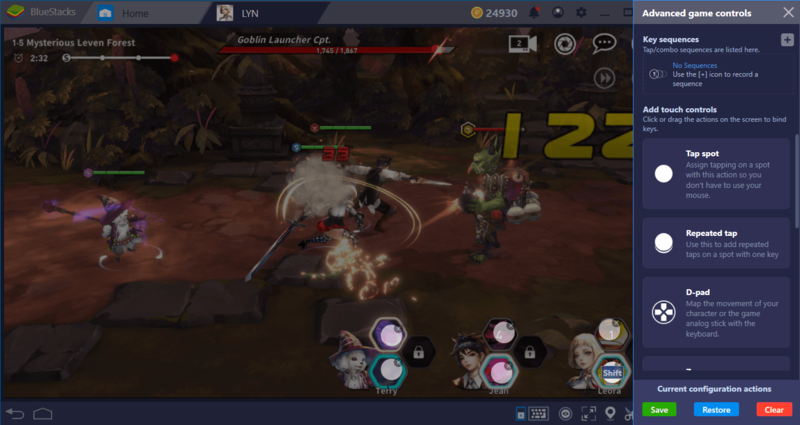 Thanks to BlueStacks’ exclusive features, this will be a fast and fun journey – you need every advantage you can get in order to save the world. 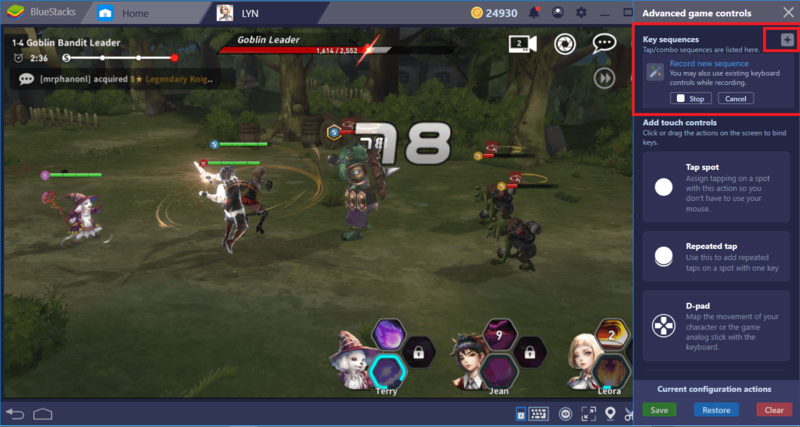 If you liked LYN: The Lightbringer, don’t forget to take a look at other gacha games too, you can play dozens of them on BlueStacks. Until next time, heroes and may the light guide you!